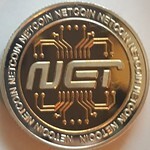 Hey everybody, if you are interested on anything on my ebay I accept NET coins as payment! This will change with the market! Currently a great way to trade in some of your unwanted NET without dropping the market value! Whoo! Net is doing much better! Also anybody know if their is any " accepted here" graphics?